We set and uphold a culture of excellence with our athletes because we are intentional in all that we say and do to coach, teach and mentor our athletes to empower them to achieve success in their lives. Through the many programs we offer our athletes will grow stronger physically, mentally and spiritually to lead their communities through their deeds and not just words. became a personal trainer. I loved coaching and continued to train people gathering several personal training certifications as I went. I have coached youth soccer and basketball teams for the past 7 years, all while running a successful business with a college friend. In 2010 I was introduced to CrossFit by some family members and was immediately hooked. I thought the emphasis that CrossFit placed on variation and intensity was awesome. 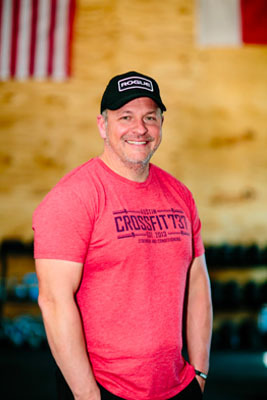 After CrossFitting at different boxes around town, my wife, Denise and I knew that it was time to follow our passion and open our own CrossFit gym. 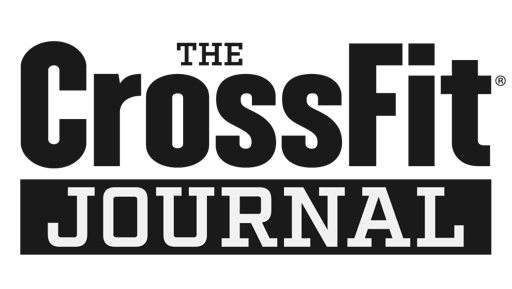 I am so excited to share my knowledge and passion for CrossFit and fitness with our community. 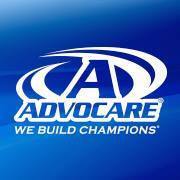 My goal as a coach is to inspire individuals to make long-term lifestyle changes. 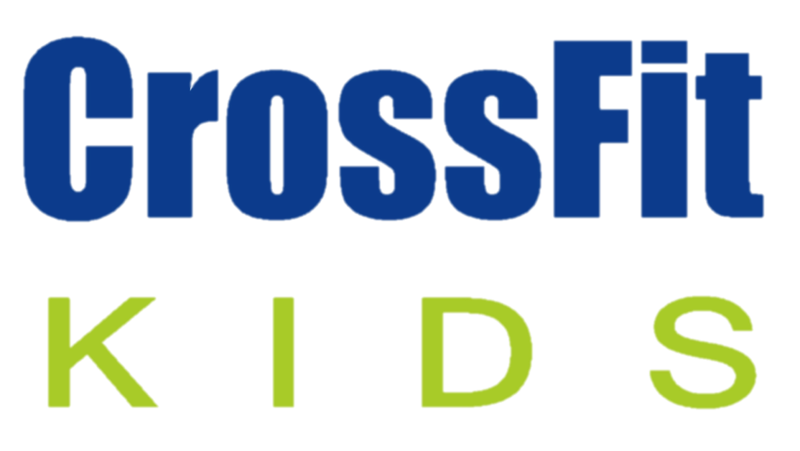 I have found that Crossfits’ scalable intensity and commitment to functional movement makes it the perfect program for individuals of all ages and abilities. 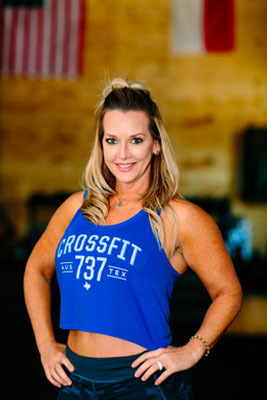 My passion for sports has never really died down and I continue to compete in recreational sports around Austin such as soccer, basketball, triathlons, fun runs, adventure races and CrossFit competitions. All of these things are great, but my favorite thing to do is hang out with my awesome wife, Denise, and our three incredible daughters, Faith, Grace and Hayley. If I were an animal I’d be: a tiger. I am a lifelong resident of Texas. I was born in San Marcos, raised in San Antonio and have lived in Austin since 2006. I am married to my best friend, Chris and we have three amazing daughters. I have been an athlete for as long as I can remember, but not in the way that is common for most. I grew up as a dancer with training sessions 5 days a week. I also competed in dance competitions through high school. In fact, I still love to dance! I have always loved working out hard and could be found in whatever class was toughest at our local gyms, whether that was a spin class or total body conditioning. I love it all. But in 2010 when I was introduced to CrossFit by some family members I was immediately hooked! I loved the high-intensity and variations of the CrossFit workouts. I integrated all of my workouts together and continued to be a fit mom on the go. I have run several half marathons, 10ks and 5ks. I have also competed in triathlons and CrossFit Competitions. I have a sincere passion for staying fit and motivating my children to be fit. I want to show them through my life that exercising is fun and a great way to live. I am incredibly passionate about people and coaching CrossFit has been a great way for me to encourage those around me. As your Coach, I want nothing more than to see you succeed. I will do all that I can to motivate you. I really strive to lead by example. My passion for people also lends well to my “outside of the Box” job. I am a top producing Real Estate professional here in Austin. I love making connections with people and helping them in any way I can. I balance my energies between all of my passions; family, faith, real estate, health, fitness, and nutrition. I have the best workout ever when I’m listening to: LOUD, very loud music. It has to be fast and upbeat. I like rock, pop, rap, country and even some hard rock. I’m challenged by: our clients and my kids. Learning their strengths and weakness and helping them meet their goals keeps me on my toes. When I’m not working out: I’m spending time with my family, selling real estate in Austin or doing something great outdoors. You’ll see me smiling when: I am with my husband, daughters or friends. People in general, make me smile, I am passionate about people! If I were an animal I’d be: a jaguar. Born and raised in Boise, Idaho, I grew up loving all things outdoors. From camping in the summer time to skiing in the winters, we were always active. However, through all seasons, I was continually playing soccer. Soccer was my first true love. I played soccer in college at Indiana Wesleyan University where I majored in Physical Education and Health. After college, I continued to play recreationally and picked up running. I have done over a dozen half marathons and 2 marathons, the Marine Corps and the London marathons. I also did an internship in England coaching sports to inner city youth and playing in a women’s league. Sports have definitely offered me a lot of great experiences. I found Crossfit in 2008 while training for several upcoming half marathons. Since then I have been hooked! I have also been in the best shape of my life since finding Crossfit. I wish I would have had this during my soccer days!! The thing I love most about Crossfit, is the community. I have had at least 3 major moves around the country since starting Crossfit and each time the first thing I do is find a good box. I have made lifelong, best friends since joining Crossfit! From Idaho, to Virginia, and now to Texas… Crossfit brings people together for a common goal. It unites strangers, gives them a reason to engage, and forces them to work hard amidst peers. It’s true commraderie. And I love it! I started coaching in 2010. I interned under Headquarters Staff for 1 year before leading a class of my own. I thrive on teaching people to move properly and to feel the correct form of movements. I believe in the motto Mechanics, Consistency, Intensity. We must first be able to do the movement correctly and consistently before we push harder and heavier. I believe Crossfit is for everyone. With the right coaching and adaptations, all people, of all skill levels and walks of life, can find benefit in this style of exercise. I have the best workout ever when I’m listening to: Good music, have my favorite buddies with me, and I’m wearing a costume! I’m challenged by: My desire to do better than the last time. When I’m not working out: I’m hanging with my 2 tiny humans, my husband, and my friends! I was first introduced to CrossFit in 2012 and was quickly hooked. I saw results in a short period of time and knew then that it really worked. And best of all, it was fun. Seriously. Fun! I love helping people do things they never knew they could accomplish. As a long time endurance triathlete and cyclist, I know that the body can do more than the brain thinks it can. I love to celebrate those breakthroughs with athletes like you every day! My goal is for every client I train with to say “Thanks for the great workout. I can’t wait to come back tomorrow!” To achieve that I will probably push you a little harder than you thought you could go and encourage you to lift a little heavier than you thought you could lift. Know that I will always have your best interest at heart and will watch you closely so that if I need to I will correct your form to prevent injury. Doing those things assures me that you will see results. Outside of the gym, I am active in my local church, an avid fly fisher, and wine lover. Work hard, play hard. My wife Casey and I are the proud parents of three children: Quade, Jack, and Alli. I have the best workout ever when I’m listening to: the sounds of encouragement from my coach and other athletes. I’m challenged by: a desire to see just how far we can actually push ourselves. When I’m not working out I’m: Doing something with my family. They are a source of strength for me. We’re one of those crazy families that actually enjoys doing EVERYTHING together. At least that’s what our kids say! You’ll see me smiling when: someone attempts something in the gym they’ve never tried. Anyone can do things they already know how to do. It takes courage to try new things and I love seeing that. If I were an animal I’d be an: supple leopard. If you don’t know what that is, ask me sometime. We should all aspire to be supple leopards! of work capacity, power and effort, it must have benefits for everyone who trains in that methodology. I decided to give it a try and have loved every minute of it! What most excites me about CrossFit is the community atmosphere. 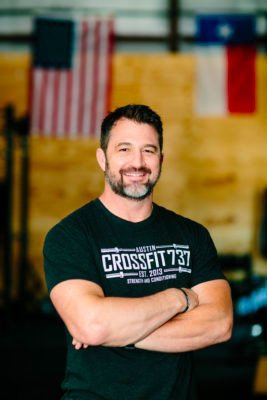 Having worked out in “Globo gyms” before, I was used to headphones and isolation, but the encouragement and camaraderie of CrossFit 737 is at a level I would never have imagined. 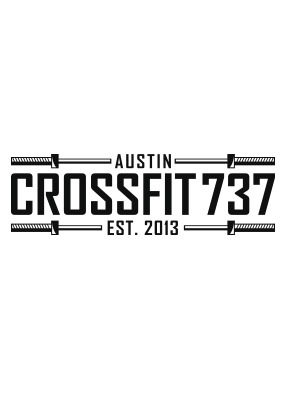 The people you meet at CrossFit 737 very quickly become your friends, which is part of the CrossFit culture that is evident even in the Pro/Elite level competitors. I have been an athlete most of my life playing football and college soccer, and currently coach soccer at Veritas Academy. I love to see athletes grasp concepts with regard to technique and then succeed through smarter training and efficiency. You will reach levels you never thought you were capable of if you push through your perceived limits. Michelle joins our coaching staff as a long time loyal member and holds a college degree in elementary physical education. Fitness has been a big part of my life since an early age. I played competitive sports in high school and continued competing in college as a co-ed varsity cheerleader. I have a Bachelors in Physical Education and a Masters in Special Education. In 2001 I was introduced to yoga while working as a group fitness instructor. My love for yoga grew and I have been practicing ever since. My cousin introduced me to CrossFit in 2012 and I was hooked after the first workout. I immediately saw the benefit of combining yoga and CrossFit and I wanted to share it with others. I received my 200-Hr Registered Yoga Teacher certification in 2014 and a second yoga certification in 2016. 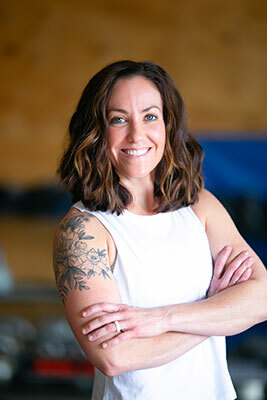 I am currently enrolled in a 300-Hr Advanced Yoga Teacher certification program. I am a firm believer that yoga will help my fellow CrossFit athletes with flexibility, strength (mental as well as physical), body awareness & faster recovery time. Since I participate in the same workouts as the other members of CrossFit 737, I know what areas get stiff from a regular CrossFit routine. I will sequence my classes focusing on those particular areas. I love the challenge yoga brings mentally & physically and I know you will too! I look forward to seeing you all on your mat!